It can be so difficult to find the perfect continent and ocean printables for the home or classroom! I have been searching for years to find them. Finally I decided it was time to just create them myself. 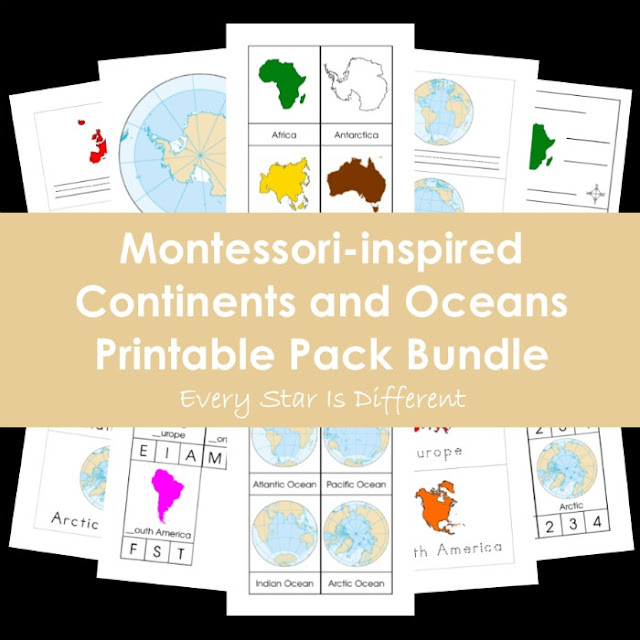 The Montessori-inspired Continents and Oceans Printable Pack Bundle is all that you could ask for and more! Activities and printables not only emphasize each individual continent and ocean, but add a fabulous language component to learning. 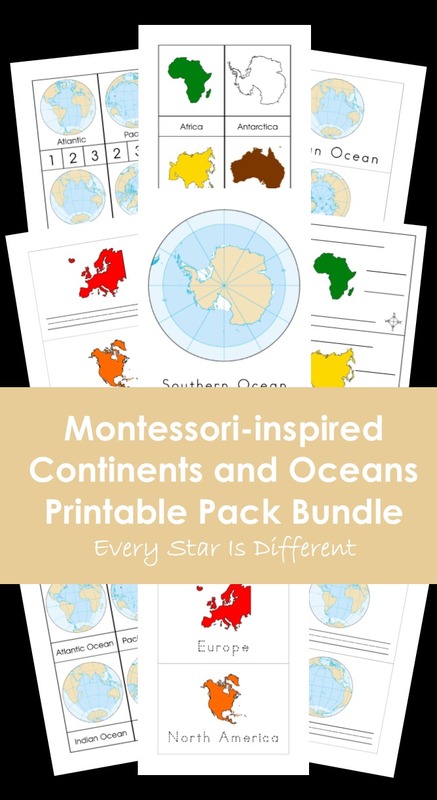 Continent and Ocean booklets follow the Montessori progression of writing with no lines and then lines. Incorporating writing with geography helps children not only learn the names of their continents and oceans, but also how to spell them. There are even first letter sound clip cards and syllable counting cards to help children with pronunciation. And, if your child is more hands on, say hello to continent and ocean play dough mats!!! No matter your child's preferred learning style there is something for everyone! Just take a look at all that's offered in this bundle! Like I said before, you have everything you could possibly want and more! How do you purchase the Montessori-inspired Continents and Oceans Printable Pack Bundle?